What Puts You In Sync (or Out of Sync) With Price Flow? I sent out the following post via social media earlier this week. It's a theme I've pushed quite a bit over the last few years because I feel it's incredibly important. No matter what markets you trade. No matter what timeframe you trade. 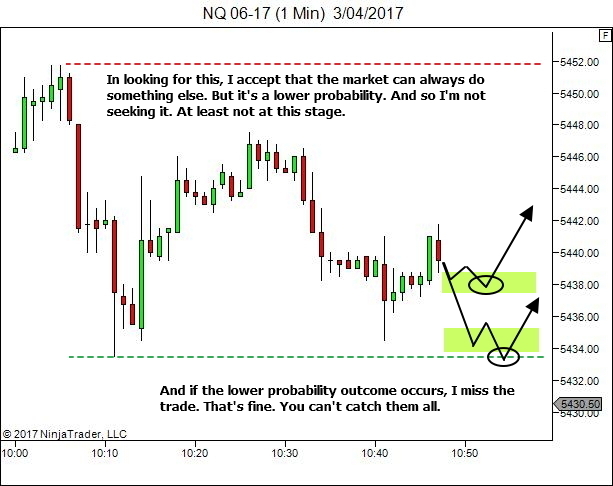 No matter what strategy you trade. 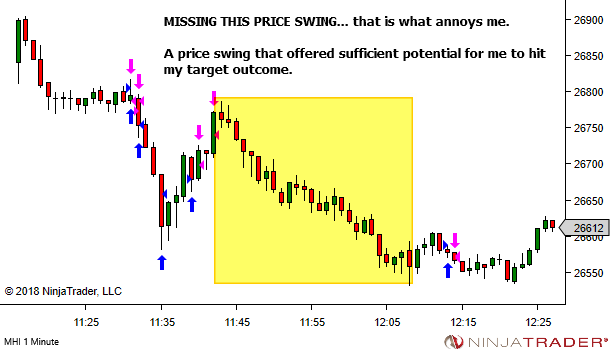 There will be price sequences where you are in sync with the movement and smashing it out of the ballpark. And there will be price sequences where you are out of sync and just nothing seems to ever go right. The quicker you can recognise change to favourable or unfavourable conditions, the quicker you can adapt tactics to suit. What are some things one can do to put together a framework for identifying these transitions? 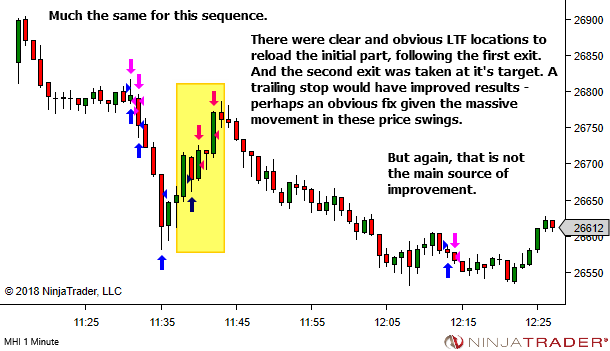 Before you can study the transitions, you need to know what type of price sequences lead to you underperforming. And which lead to exceptional performance. From that foundation, you can study the transitions in and out of these sequences. 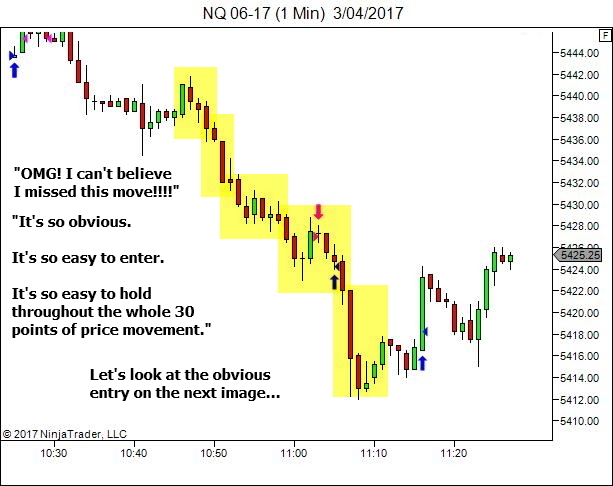 Examine the price sequences where you just couldn't read the market bias! These are the sequences where you have no idea what is going on. "It's bullish. No… it's bearish. No… wait.. hang on…it's going… damn it! I have no idea at all." The sooner you can recognise this (and accept it) the sooner you can stand aside and limit damage, waiting until some clarity returns to the market. 1. 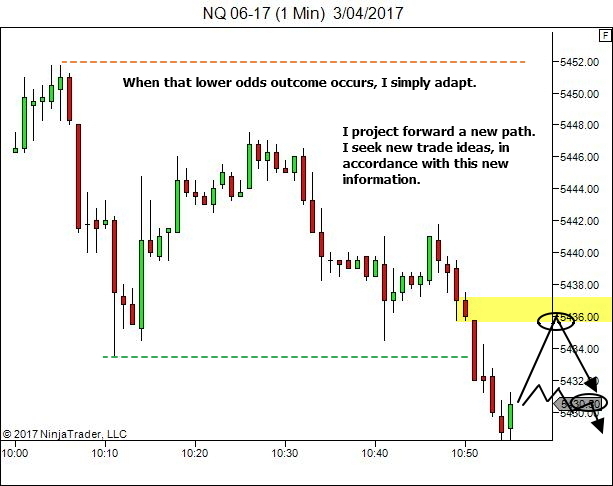 Take note of any price sequences which resulted in complete uncertainty about the directional bias. 4. 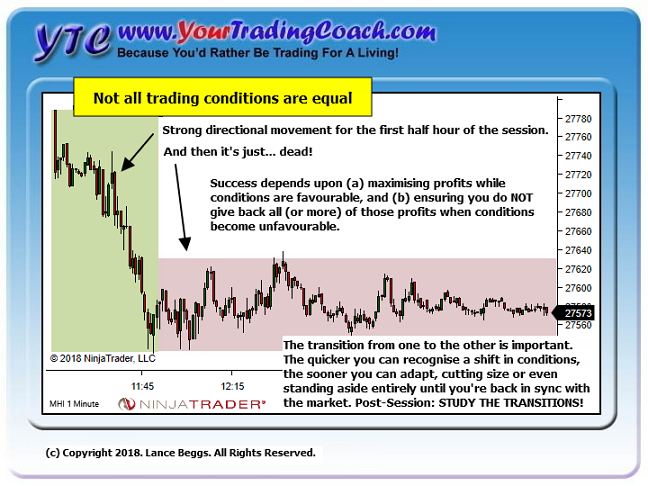 Over time, you'll start to identify those conditions which have the potential to put you out of sync with the market, allowing you to recognise and adapt more quickly in future. 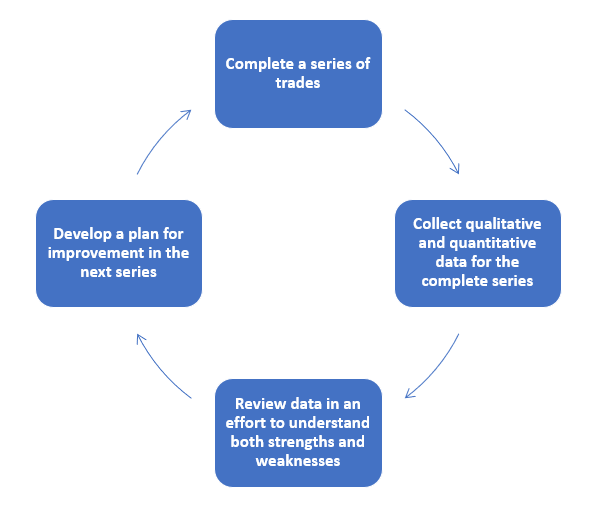 Examine the price sequences in which you found yourself fighting the bias for multiple trades! 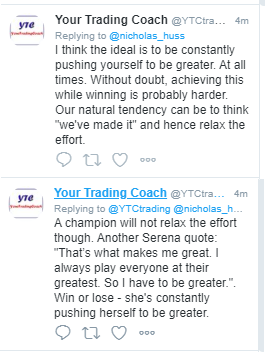 These are the sequences in which you were confident that you had picked a market direction, but then got stopped out of one trade… and then another… and maybe more… as you fought what was in reality a completely opposite bias. Hindsight is a beautiful thing. But it's also where we learn. Study these sequences and learn what puts you 180 degrees out of sync. 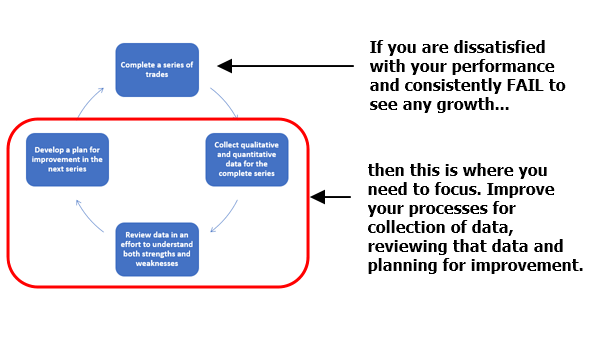 Examine the price sequences in which you read the market bias well but just couldn't execute in sync with the market! 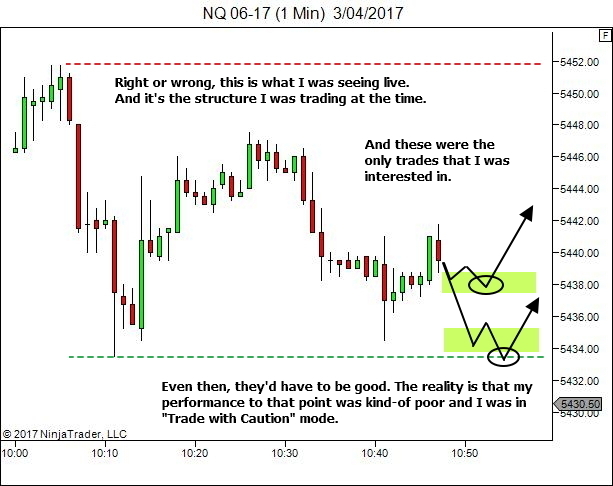 These are the sequences in which were 100% spot-on regarding the market bias, but just couldn't get those trades going. 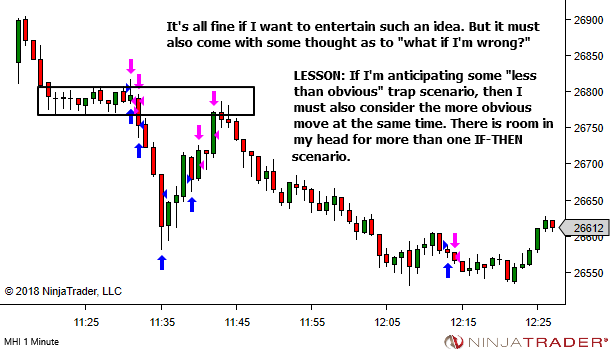 Choppy price action leading to hesitation. Or maybe tripping stops and leaving you watch from the sidelines while it goes to the target without you. 1. 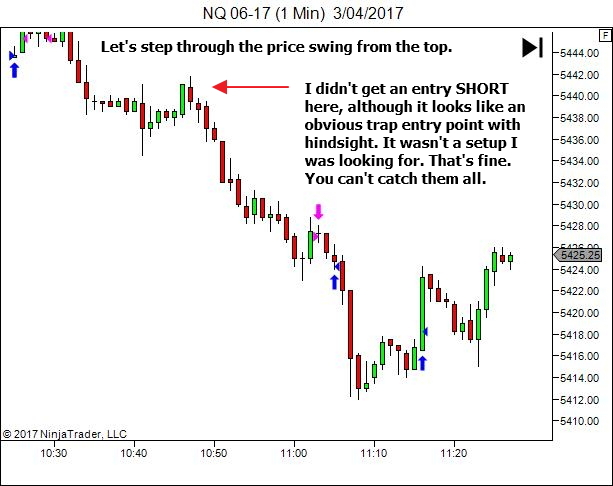 Take note of any price sequences which resulted in a correct bias but a complete inability to profit from your market read. 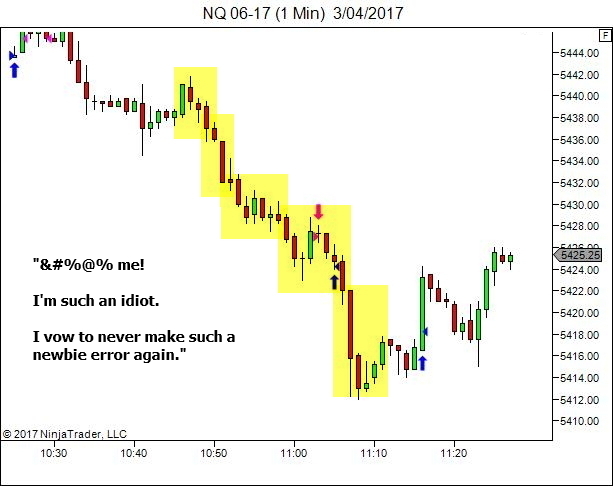 Examine the price sequences in which you read the market bias well AND executed well. These are the sequences in which you just smash it out of the ballpark. Not only can you see the market bias, but every fibre of your being senses it as well. And your timing just fits perfectly. 1. 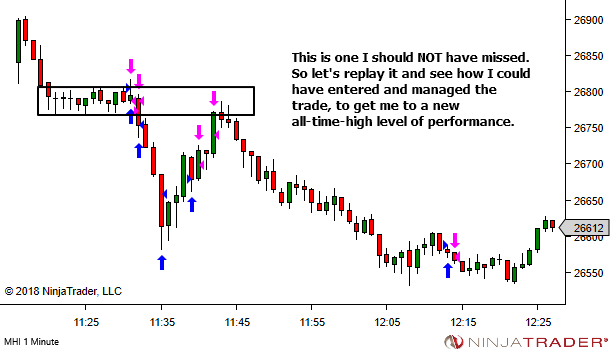 Take note of any price sequences which resulted in A+ trading and clear outperformance. 4. Over time, you'll start to identify those conditions which have the potential to put you quickly in sync with the market, allowing you to recognise and exploit the situation more quickly in future. A whole lot of work, but it will pay you back a thousand-fold. 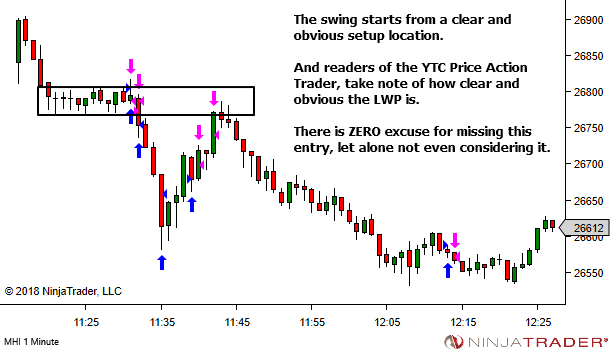 A great way to learn to read price action is to review your historical price charts, with a focus on the price action at key structural locations. Find and review anything which fits these categories. 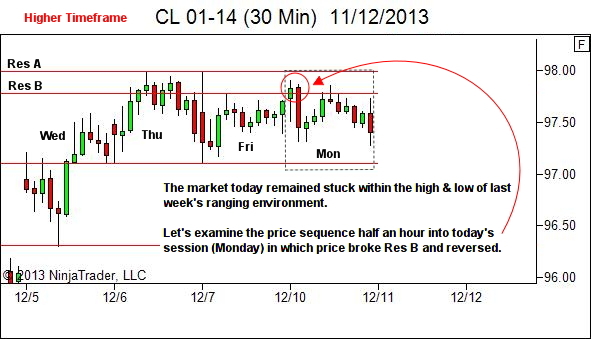 Each day, identify a key price sequence. 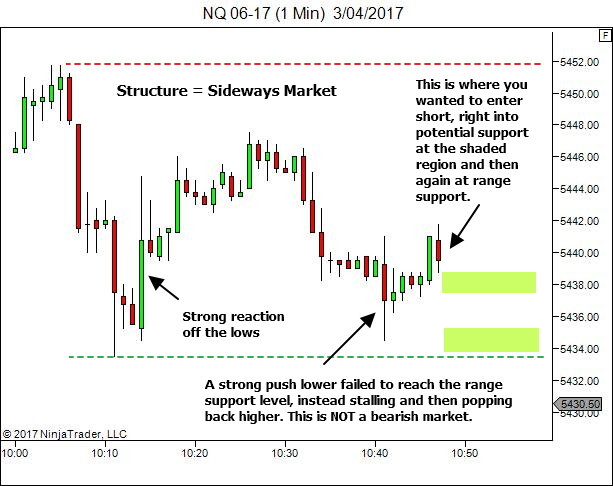 Let's look at an example in which Crude Oil breaks higher in Monday's session, into layered levels of range resistance, before falling back into the range. 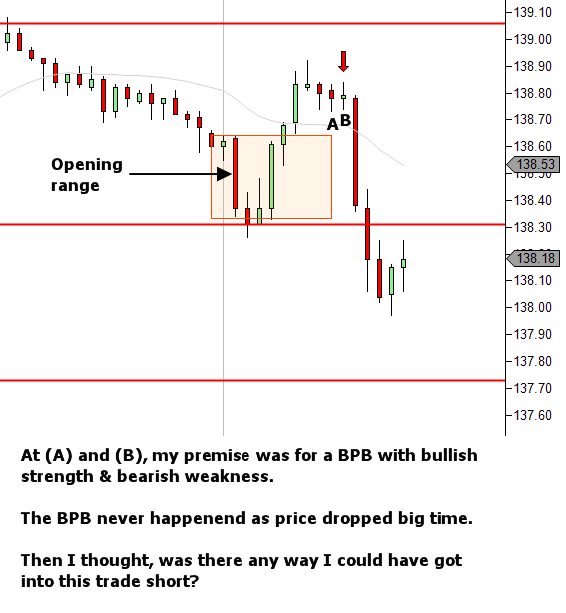 We recently shared some post-trade reviews from Josh, who is doing exceptional work in creating a trade review journal for his longer timeframe forex trading (daily charts). But a trade review journal is not the only option you have. 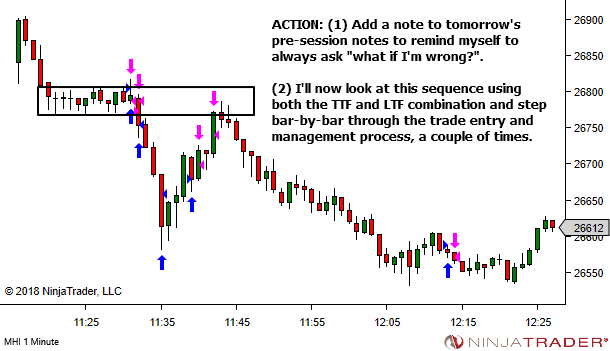 Today I'd like to share a chart that came to me with some email Q&A, from Greg, who also operates in the forex markets but on much shorter timeframes. 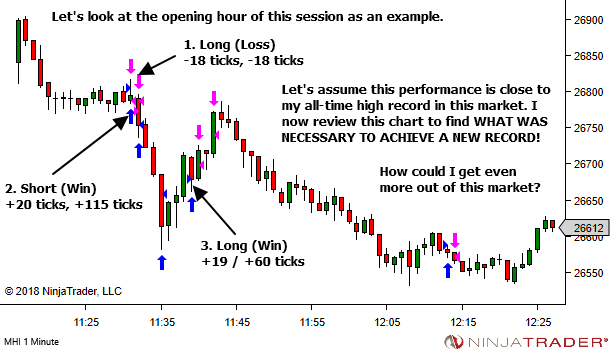 What I like about this is the fact that Greg produces a chart like this after EVERY session. He keeps them in a personal blog; but you could do the same via any journaling application or even printouts stored in a binder. 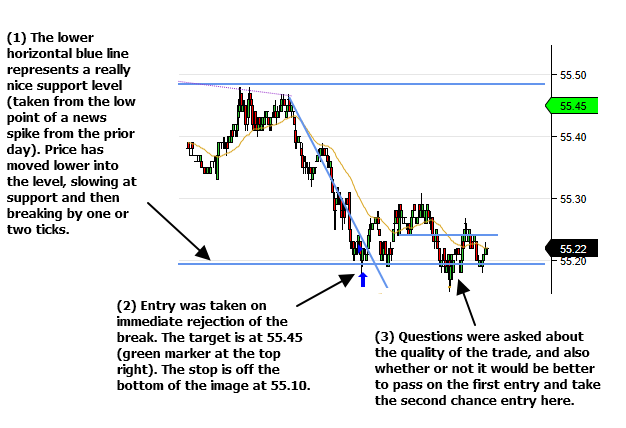 The following trade review examples have been taken (with permission) from some email conversations with Josh, a trader of the YTC Price Action Trader methodology. He's still in the early stages of his development, developing confidence in his strategy and processes through historical chart review. 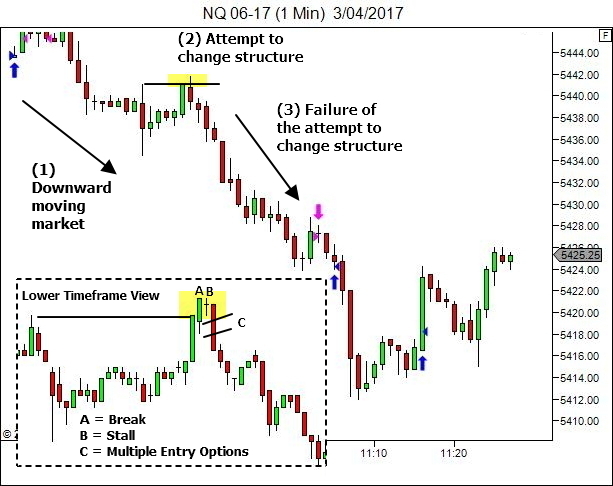 He's doing this using ForexTester software which allows for trading of historical charts as if it were a live market environment. In both cases the win percentage is really healthy. And the winners are significantly larger than the losers. Too many people over-analyse their individual loses in attempt to avoid them in future. By all means analyse them and improve your knowledge and skill. But accept as well that you'll always have losses. 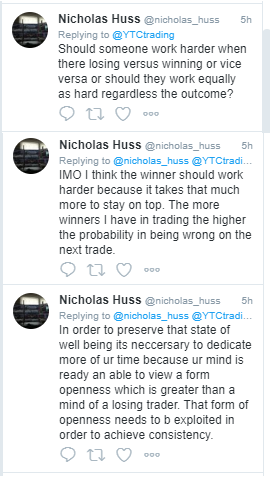 And as long as you manage them, as Josh has been doing (ensuring they're cut short and that the winners are held for larger profits) then the losses are quite acceptable. What is not to love about those stats. Josh has a great edge here… evidenced as well by the nicely rising equity curves for each month, and the distribution graph showing larger bars on the winning size (also included in his email but not shown here). But that's not the point of this article! Rather, I want to talk about a key part of the process that Josh used to get to this point. How Could I Have Analysed This Better? 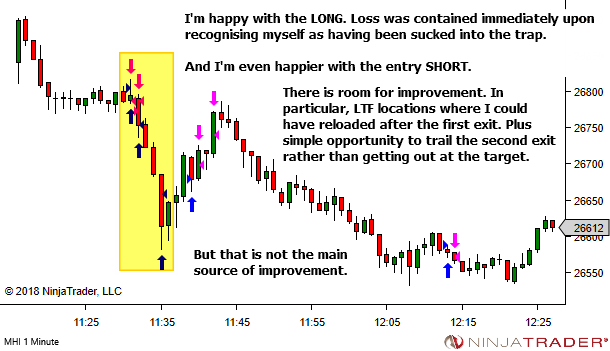 Here's an example of someone who's coming along quite nicely with their development as a trader. I'm not sure if this method of thinking can be used to go against my premise in the future? 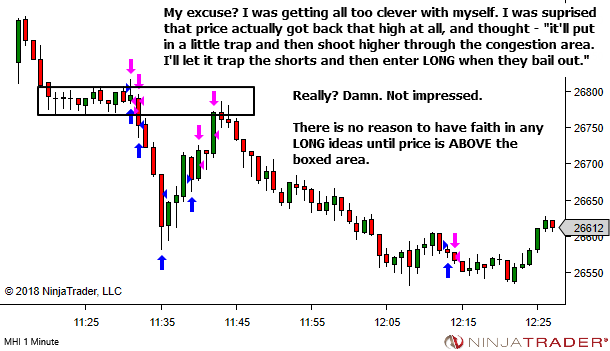 What I was really wanting to see was a spring bear trap to go long.